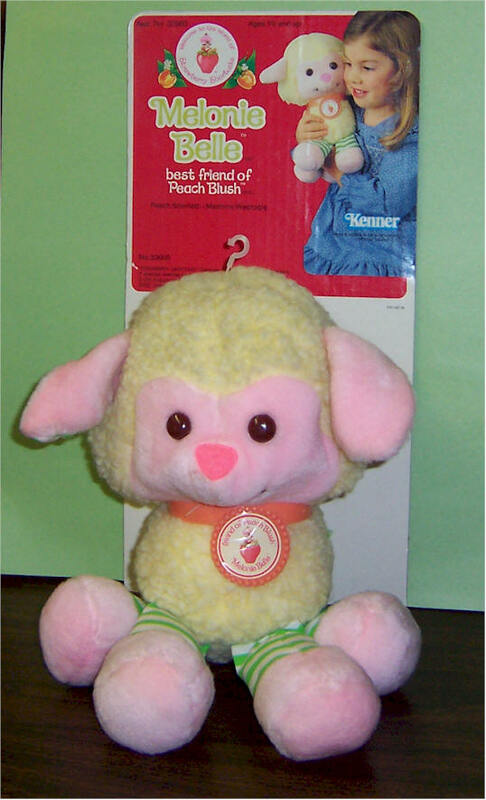 Melonie Belle Lamb best friend of Peach Blush. By Kenner 1984. Mint Condition. 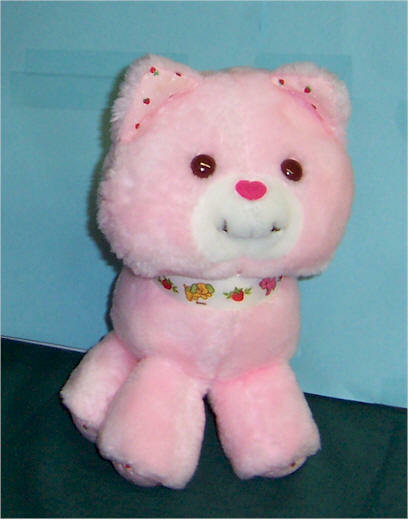 Comes with backing from box. 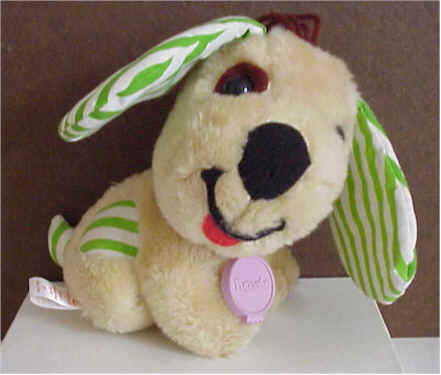 ORIGINAL COLLAR TAG. Very Rare Large Hopsalot. By Kenner. Mint Condition, Comes with backing from box. 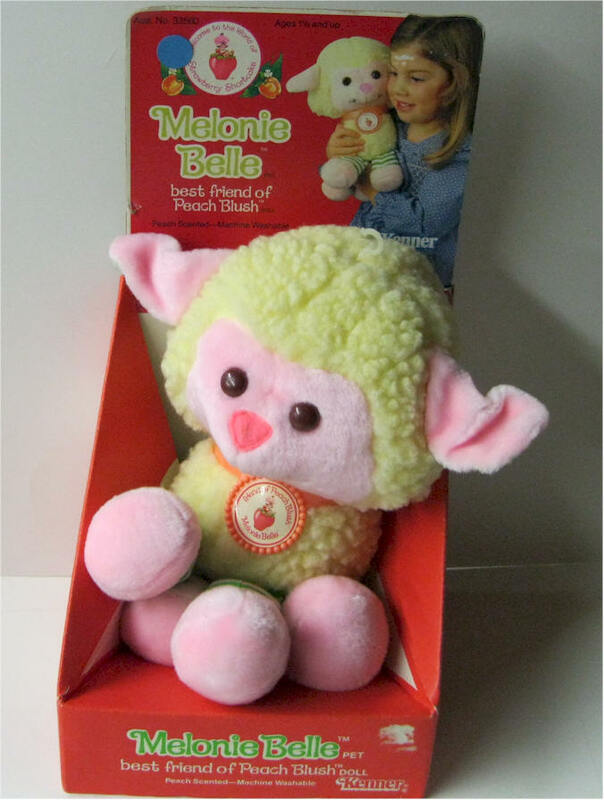 Melonie Belle Lamb best friend of Peach Blush. By Kenner 1984. Mint. 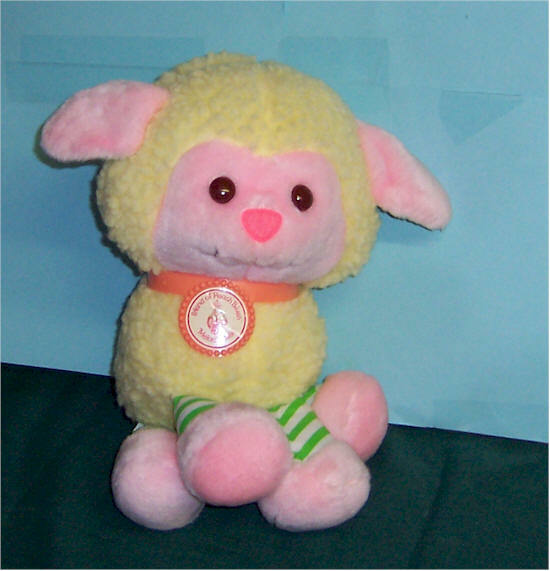 Price $75 SOLD Melonie Belle Lamb best friend of Peach Blush. Very Clean. No Spots. By Kenner 1984. 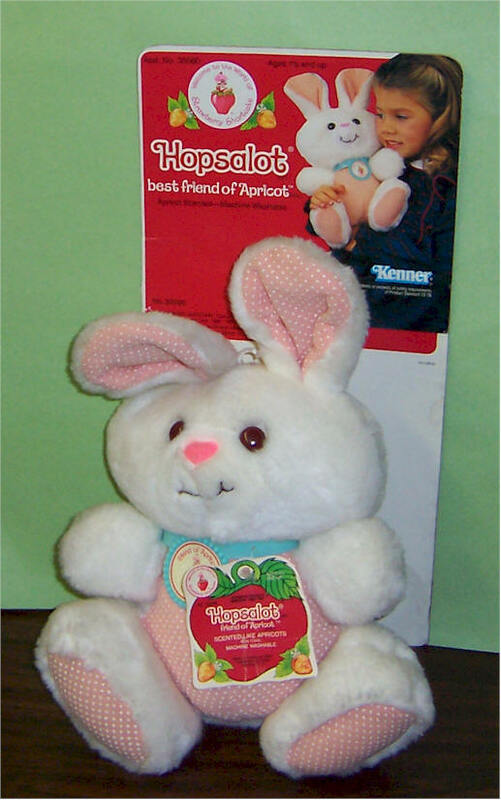 Very Rare Large Hopsalot. By Kenner. Very Clean. 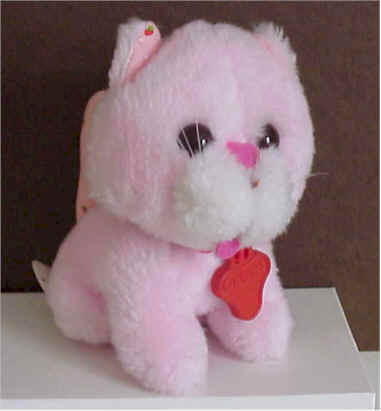 Price $50 SOLD Large size plush Custard. 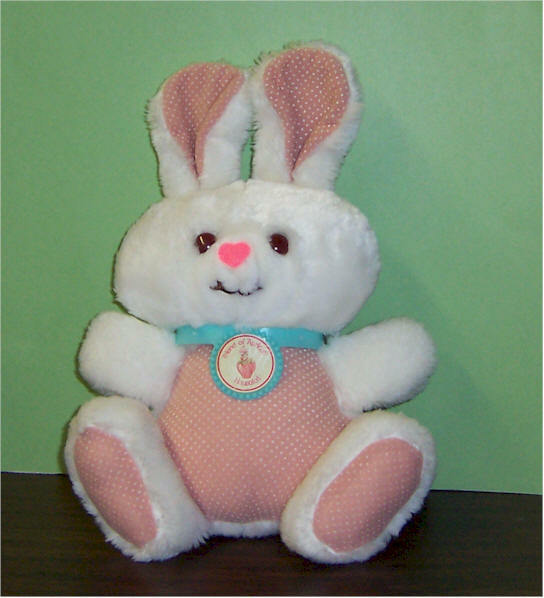 Missing collar that goes around neck. 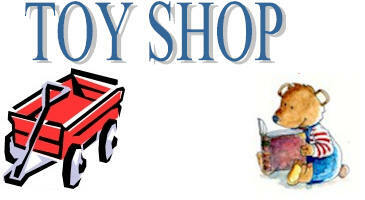 Added SS ribbon. Very Clean. By Kenner 1984. 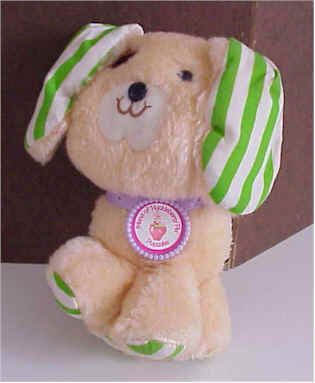 Price $6 6 1/2" Medium size plush Pupcake with berry-shaped collar. 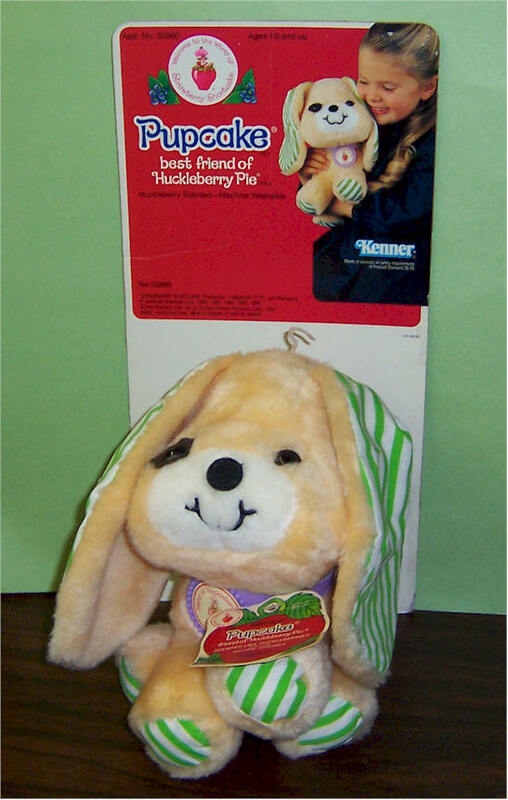 Kenner 1982. 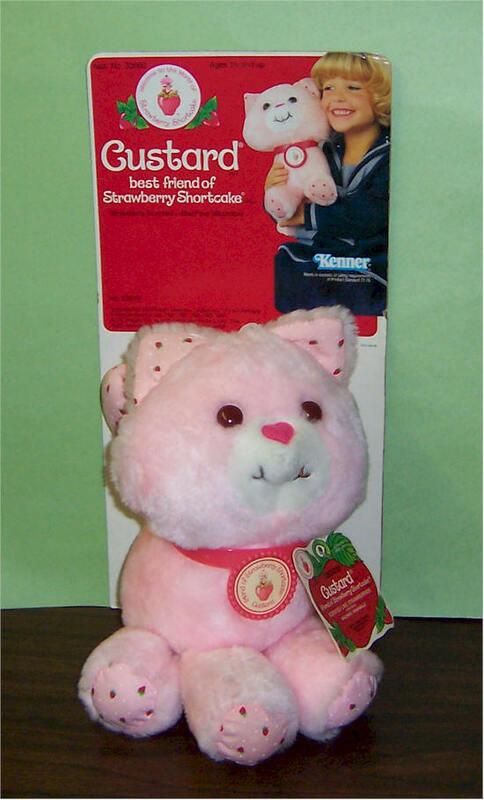 Small size plush Custard with berry-shaped collar. Kenner 1981. 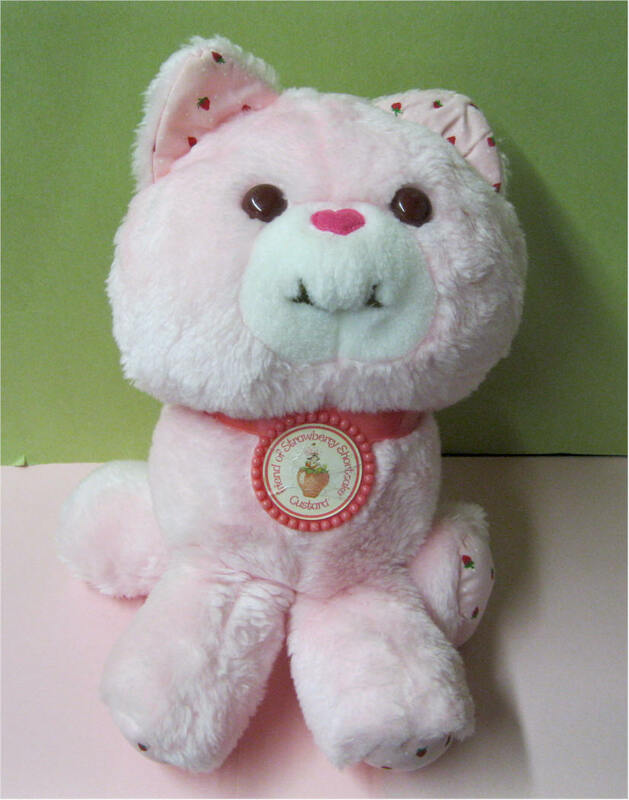 Price $12 Large size plush Custard. Very Clean. By Kenner 1984.